Just Announced: On Tour with Sevendust and more. JUST ANNOUNCED! 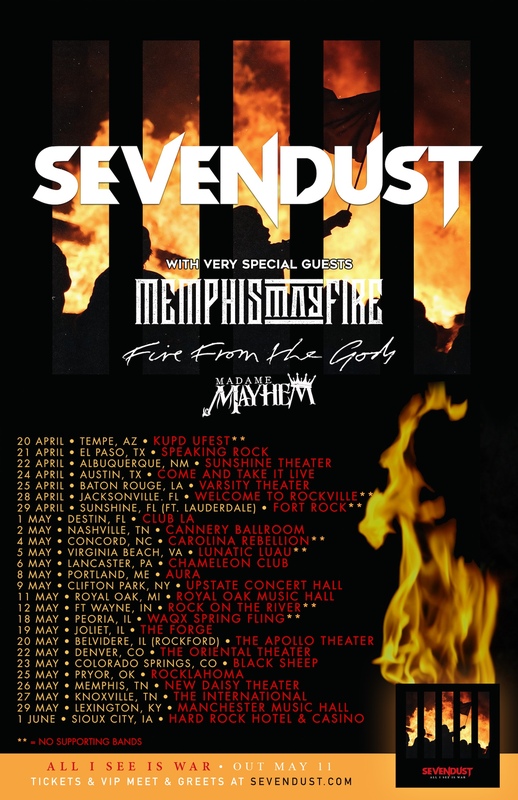 Hitting the road with Sevendust, Memphis May Fire and Fire From The Gods for a nationwide tour from April – June! Tickets go on sale Friday 10am local time. More Madame Mayhem dates to be added soon. Find your city and Let the Mayhem Begin…!